It was lucky meet Hope that day.that the studios were built as spacious ones. The whole family was over at Carly’s to welcome baby Hope that day. “She really is,” Pauline beamed. Yenn was overjoyed. After the gloom of recent months, there was such a breath of promise in the air. Not one, but two generation 10 children were now in this world. Sure, perhaps none of them came about particularly conventionally, but did it matter? The legacy was still going. “Dad, are you really just going to keep reading all afternoon?” Carly scolded Leo jokingly. Carly chuckled softly and lifted the baby once again. She couldn’t get tired of this. Luckily, hope seemed like a happy baby so far and was cooperating. The whole family did notice Ralph in the background, doing various household chores. A bit of dishes here, some cooking there… Nobody brought it up though. It seemed that things were looking up between him and Carly, and none of them were foolish enough to scare that vibe away by drawing attention to it. But it certainly couldn’t escape anyone’s attention. The way Carly was looking at Ralph and the big grin he had on his face seemed to suggest happier times were ahead. 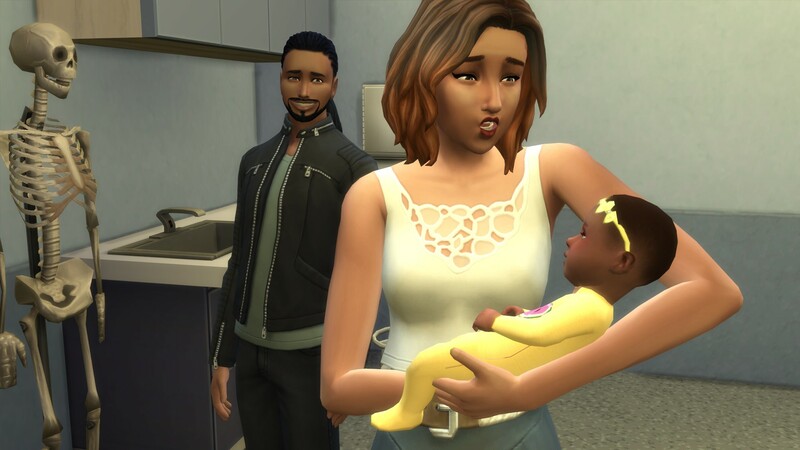 They could only hope the joy the baby brought would be contagious. Pauline sat down with Sera for a moment. She knew the girl had been battling with various demons throughout the years, but she’d never brought herself to talk about it directly. Her approach was trying to subtly check on her every so often without raising suspicion. It seemed especially poignant after the recent threats to the legacy’s continuity. “So, how have you been lately, sweetie?” She asked her daughter casually. Pauline studied her face hesitantly, but there didn’t seem any indications of Sera lying. The truth was, Sera was in love with the chid from the moment she laid her eyes on her. Hope was so small, so precious… and so innocent. She hadn’t made any mistakes yet. She had her whole life ahead of her. Sera couldn’t help herself. It filled her with, well, hope. She held the baby in her arms. And from there, everything changed. Sera promised herself that one day, she’d have one of her own. That she’d be good enough. That she’d get her life on track. And it was going to start now. First things first, she’d lay off chasing love for the sake of it, and shift her focus to something more productive. Perhaps she could use the energy for something more useful than constant heartbreak. Perhaps she could finally do something worthwhile with her life. In any case, she felt excited about the future. That was a first. It wasn’t just Pauline checking up on the young adults. Yenn approached Hallie with a casual smile. “What eventful times are upon us,” she remarked. “Oh?” Yenn tried to act neutral, but she couldn’t hide the twinkle in her eyes. “I like the way you think,” Yenn grinned approvingly. “I could most definitely do the building part,” Hallie indulged her. “And as for the kids… Well, maybe I could adopt or something like that. Seeing Hope actually makes me kind of like that idea. Besides, if even Vito can be a parent, surely I can do it too!” She laughed. Vito felt like the odd one out. There was so much joy in the room, and he was struggling to feel any of it. He was still mourning the loss of any relationship prospect with Louis, and on top of that, things were hardly a walk in the park as far as Aslan was considered. He was so awkward around his son, and the boy had little patience for him in return. He definitely wasn’t a natural at parenting. “Are you ok there, Vito?” Pauline gave him a concerned look. Now that he said it out loud, all the time he missed was hitting him even harder. Did Aslan resemble him as much as an infant? Did he cry a lot, or was he a quiet baby? At what age did he realise his father wasn’t there? Vito couldn’t bare thinking about it. “I wonder if he had such tiny feet.” He said instead. Vito forced a smile. “And he probably had these tiny hands too…” He gently reached for the baby’s hand with the tip of his finger. Hope started crying instantly. So it was official. All children hated him, regardless of their age. He dragged himself to the other side of the room and sat down on the bed, as far from the baby as possible. Not that that was a lot better. All he could see now was Carly and Ralph chatting away happily, almost as if they had never parted ways. Sure, they weren’t being touchy feely and their interactions seemed mainly friendly, but the enamoured looks they were exchanging were telling a different story. Vito felt a twinge of jealousy. And then guilt. He should be happy for his sister. Why was it so hard? “For the record, I’ve been thinking about you in the past couple of days.” Carly told him. “How did you even have time for that?” Vito’s eyes shot towards the crib. Vito was ashamed. As he approached the building, he realised he hadn’t been to his father’s restaurant in years. Ever since he stopped working there, his visits of the place had been sporadic. He should make a point of stopping by regularly. Maybe bring Aslan along. He’d probably find it fun to go inside the kitchen to see his grandpa. All kids loved going to places with restricted access, right? Vito smiled to himself. The place seemed to be as bustling as he remembered it, if not more. Good to see dad was still doing well for himself, Vito thought. And then he froze in his tracks. There he was, greeting customers like it was nothing out of the ordinary. “Welcome to Sorrano Specials,” Louis said to him with a cheeky smile. Carly. That incredible being, Vito thought. “She’s very thoughtful,” Vito sighed. “She is. You’re very lucky to have her.” Louis replied. Vito paused. How should he even phrase this? “Thanks Vito,” Louis smiled. “You’re right, the main reason I took the job is because it was such a great opportunity for my career. 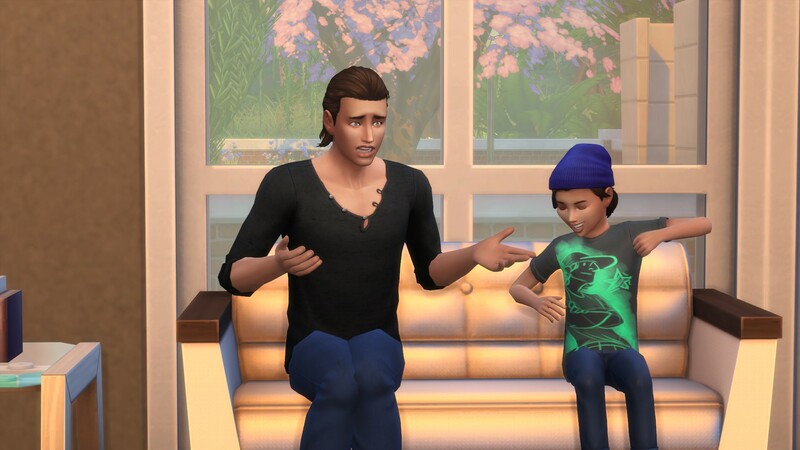 Way better than what I was doing at the modelling agency in Windenburg, and much more hands on.…” He got sidetracked. Vito hit the Send button with a heavy heart. He wasn’t happy with the email at all. But he’d reread it a dozen times, and still couldn’t come up with a better way of expressing himself. He closed his eyes. It just wasn’t meant to be. I know what you’re probably thinking, that I’m a wimp telling you this over email – and you might be right – but this was the only way I could make sure I actually say everything I need to say. So please hear me out. Though if you don’t, I wouldn’t blame you. I’m guessing you’ve already figured out what this is about. I’m not coming back to Windenburg. I can’t believe I’m actually saying this. Letting you down. Once again. You’re probably used to it by now. You know that talk we had, about being selfish? How I thought moving to Windenburg for you was the more selfless way, and you said ditching the legacy was more selfish? Well, I kind of get it now. Except neither of those things even matters anymore. I now get more of what the selflessness deal is all about, I think. It’s not about picking whichever option seems like the less selfish one. It’s about doing the actual right thing. Even if it means sacrificing something you actually want more than anything else in the world. And that something is being with you. I really wish there was another way. But this time, it’s different. And you’re probably thinking that I’ve given you that line before. Honestly, I wouldn’t buy this if it were me either. But all I can say is that in any other situation, I would go back to you and never look back. Ok, I’ve been going on for ages and still haven’t gotten to the point. This is hard. So I’ll just say it. Yeah, it’s crazy. I had no clue until just a few days ago. It’s still surreal. I ran into Alyssa (yeah, that Alyssa), and well turns out that my experimenting was even more stupid than I’d realised. That came out wrong. Makes it sound like I don’t want Aslan to exist. That’s not true, obviously. But the whole thing about an accident turned best thing that’s ever happened to you… yeah, I still don’t get that. Wow, I sound like a plumhole. Aslan is a cute kid. Smart, from what I can tell, and I’ve seen some of his drawings and they were pretty good for his age. I wonder how he’d be with a camera. He said it didn’t interest him, but he’s never tried and as an artistic little guy, I bet he’d warm up to it. I wish somebody had introduced me to photography when I was his age. He’s kinda snarky too, like he’ll take no plum. Especially not from me. I don’t think he likes me at all. Not that we’ve spent too much time together so far. But I have tried. And I will keep trying. I’ve been out of his life for way too long. 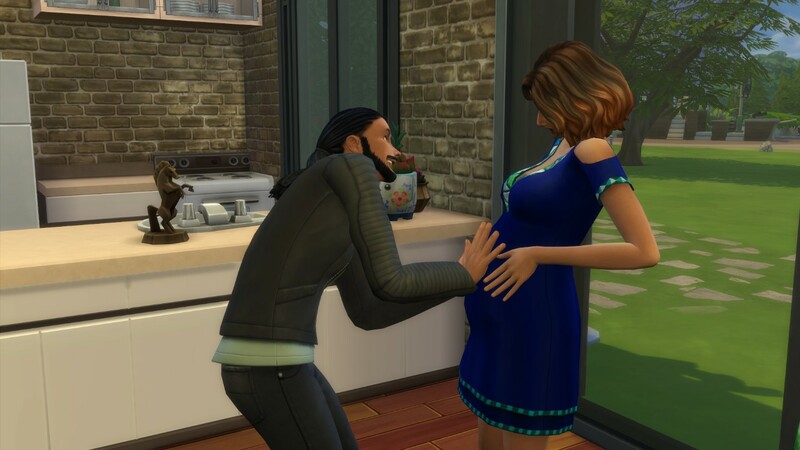 So I’ll be a father, or attempt to be, even though I have no clue what I’m doing, know nothing about children, and the kid seems more annoyed with me being there all of the sudden more than anything else. But I’ll stick around no matter how many evil glares he gives me. Because that’s the right thing. Which is my point. I’m not just randomly gloating about a kid I barely know and that I’ve had zero impact on so far anyway. I’m just trying to explain that there is no other way. I can’t leave Newcrest now, with him in the picture, as much as I want to. Not even for you. I guess in a weird way, I’ve ended up continuing the legacy after all. If you’ve gotten to this point and haven’t moved this email to junk after reading the first couple of sentences… I hope you can find a way to forgive me, but I’ll understand if you won’t. Know that I’d give anything to be able to hold you in my arms again. But this is out of my control. Another day, another festival. In the desert this time around. It wasn’t the first time Hallie had played Oasis Springs. But it was the first time she didn’t really want to be in the DJ booth. In fact, she didn’t want to be in this town at all. Not that the crowd wasn’t great. Not that she got tired of her own music. Of all the days possible, why did Carly have to go into labour today? Hallie learned Vito was taking her to the hospital just before going on stage. Vito, of all people, was the one who was there, and here she was, stuck at a gig she didn’t feel like doing. It was funny how things changed. DJing used to be Hallie’s escape. Getting lost in the music and forgetting all about the legacy and her duties. But now that she was no longer under the pressure of being heir, she longed to escape from the clubbing and be with her family instead. And then it hit her. Why was she even here? She’d spent such a long time running away from living her life that she’d lost track of what it was that she wanted to do in the first place. Always on the move, from club to club, being everywhere but never making a true connection. Perhaps running one last final time wouldn’t be such an awful idea, she thought. And so she stopped mid-tracked, and walked off the stage, to the utter shock of all of the party goers. The sounds of their voices became muffled in the distance. 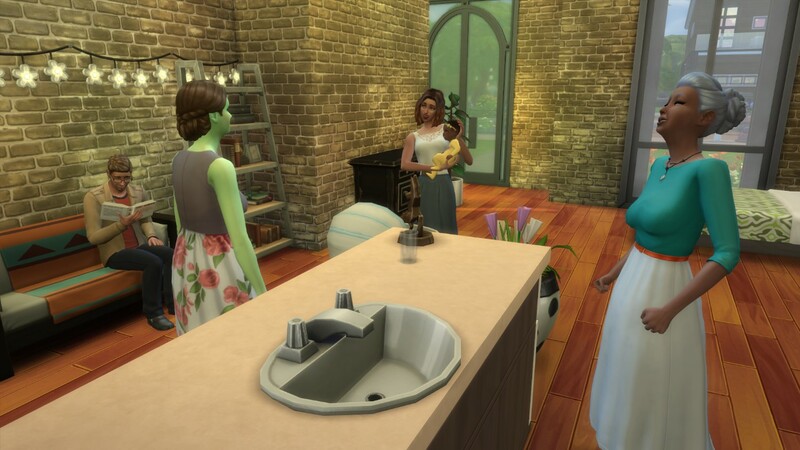 Hallie wished she could snap her fingers and magically be in Newcrest, with family. But she knew she wouldn’t be able to get back home till the next day. So she just kept on walking, to get as far away as possible. Maybe it hadn’t been the legacy she wanted to be liberated from after all. Maybe she was just trying to run away from herself. Who was she, really? Someone people never understood. Did she understand herself? The burden of the legacy was placed upon her without her doing. The fake persona she had to become for every gig to put on a show was her doing. Now they were both gone. So what was left? Maybe she just wasn’t worth anything. No wonder she couldn’t love anyone the way they wanted to be loved. She was a shell of a person. With something missing inside her. A tear rolled down her cheek, and suddenly she was sobbing uncontrollably. Why couldn’t she be a full person like everybody else? Why did she have to be this sad, pathetic empty vase? And then they came to her. She didn’t realise she wasn’t alone at first. But then she got a strange feeling that you get when somebody enters the room but your back is turned towards them so you only know they’re there because you can sense their presence. She felt their gaze on her. “Mom? Dad?” She asked uncertainly. “It’s like you don’t want your folks to drop by, tsk tsk,” Paolo joked. Hallie stared at them as they made themselves comfortable on the bench beside her. Well… did ghosts ever get comfortable? “Are you real?” She asked them. That was true, Hallie thought. She’d been missing her parents for so long. And now that they were here, all she’d come up with was stupid questions. So what if she was hallucinating? So what if it was all a dream? If it was, she didn’t want to wake up. “Everything’s wrong. I… I’m wrong. There’s something really wrong with me. You would be ashamed.” Hallie was on the verge of tears again. “Ashamed? Of our perfect daughter? Never.” Paolo shook his head. “But you don’t understand. I’m different.” Hallie sighed. “So… you know?” Hallie asked. “You are?” A spark lit up in Hallie’s eyes. “Where else would we be?” Paolo shrugged. “We don’t exactly have a lot of places to go,” Candy chuckled. “You’ve seen me… love?” Hallie was dubious. Hallie pondered that for a moment. “What do I do with my life? What do I do next?” She asked them finally. “You can do everything. Anything. Whatever you want.” Candy told her. “Just remember to always be you.” Paolo added. “So what do you want to do now?” Paolo asked. The three of them gathered around the bonfire. “I don’t remember it being green when I was little,” Hallie laughed. “Like that was ever an issue. Your dance moves were on point to the end,” Paolo complimented his wife. Hallie giggled. It was just like she said she’d wanted. In that moment, she was just a little girl with her silly parents who loved to dance around the bonfire and be way too affectionate to one another. “Don’t let the old folks embarrass themselves on their own!” Paolo agreed. The ghosts were getting excited. Hallie could only focus on the fire. The energy of the moment. There was no music playing, but she had music in her. The same way her parents said they’d always live on inside her as well. She thought that becoming a DJ would bring her closer to them, since it was something they’d both done in the past. But maybe that wasn’t the case. Maybe she didn’t have to be like them to remember them. Maybe she didn’t need to be a professional musician to love music. Maybe she didn’t have to be a lover to feel love. Candy and Paolo were cheering wildly at this point. Hallie could barely hear them though. But she felt them. They were there for her. As they always would be. “I think our work here is done.” Paolo told his wife. “We’ve done well.” Candy smiled. They gave their daughter one last proud look. And then everything disappeared in flash of intense green light. Hallie looked around, confused. The ghosts had disappeared, and the fire was almost out as well. But she wouldn’t go back to feeling sorry for herself. She may have been lonely for most of her life, but she now knew she never truly had to be alone. Author’s note: The festival lot was created by Moja0273 and can be downloaded here. Ralph dashed towards the hospital. There wasn’t a chance in the world that he would miss this. He made his way straight to the reception desk. “I need to see Carlotta Bloomer,” he got straight to the point. “Are you a relative?” The receptionist asked apathetically. She was terrified regardless. And where was Ralph? Let’s hope so, Carly told herself silently as she lied down. Ralph flew through the corridor. That receptionist took his sweet time, so he eventually gave up and figured he’d figure it out his own. It wasn’t a particularly large hospital, after all. And then he found her. “Lottie!” He yelled out. That machine she was in didn’t exactly fill him with confidence. Was this normal? And with that, the doctor manoeuvred a little crying bundle from the machine and into the cradle. “Ralph! Look at that!” Carly was weeping with joy. She didn’t take her eyes off the baby for even a split second. Ralph watched the doctor wash the baby girl and place it into her mother’s arms. It felt surreal. He was a father. He’d never been so scared in his life. Would he be any good at it? Would he be an awful influence? What if somebody hurt his baby? What if he did? He realised that from that moment on, he would never stop worrying. But then he saw how Lottie held her, and how she looked at her, and he couldn’t help but smile. He was a father. But more importantly, Lottie was his baby’s mother. His daughter would be just fine, because she had the best mother on the planet. “Isn’t she beautiful?” Carly asked. “She really is,” Ralph said, holding back tears of his own. He’d never forget this. “Thank you for being here, Ralph,” Carly said when she finally put the baby into the cot. She hugged him. Vito watched the kid. His kid. Supposedly. What made a kid his? Was it the hair colour? The same cocky smile? He didn’t feel like a father. Just yesterday, he had no clue this person existed. And now he was there. Was he supposed to love the kid immediately? He had no clue how to feel. He wasn’t sure of anything. He knew it wasn’t love, but he felt… something. He definitely felt angry about not being able to go through this mental process years ago, when the boy was born. She smiled, as if nothing was wrong. “Oh, nice of you to mention that I have a niece. Trying to make up for not telling me I had a son?” Vito snapped. He breathed heavily, attempting to calm down. Vito stared at her blankly. “Didn’t think so.” Alyssa nodded to herself victoriously. He drifted away for a moment. His eyes shot back to the kids corner of the waiting room. The boy was still playing. “I promise I won’t stop you,” Alyssa told him as she stood up, leaving the two of them alone. Ralph and Carly were still enjoying their moment. Ralph didn’t want to let go. The minute he’d let her out of his arms, things would go back to being fractured and messed up again. Just a minute longer, to pretend they were all a happy family… Whole. But it had to even eventually. Reluctantly, he let her slip out of his embrace. “I’m sure I’ll love it,” he smiled. “Well, for starters, I thought her last name should be Forrester.” She almost sounded shy when she said it. “Really? I thought that wasn’t allowed in the legacy?” Ralph pointed out. “I can break the rules too.” She winked at him. Ralph was confused. She was still holding his hand. But why was she bringing this up? She was smiling. And not letting go of his hand. Ralph realised that maybe he was going to cry after all. Vito sat next to the kid. Wow, strong start, Vito, he mentally scolded himself. “Yeah! Do you?” Aslan bounced his feet happily. “I like taking photos.” Vito told him. Who knew kids were so tough to please? Maybe he wasn’t particularly bright, Vito sighed. Vito was crushed. A little kid just ripped apart all he believed in. All he’d been trying to save in the past month. Either Aslan was really silly, or really clever. Vito wasn’t sure if he wanted to know the answer. The boy looked at the despairing man, confused. Did he say something wrong? “Do you want to sit down for a bit?” Vito asked. Her eyes shot to the frame with the angelic boy. “Even Louis?” She giggled. “Now, question is, will we get that star shot?” Vito smiled as he walked back to the tripod. Carly chuckled. Vito hoped to capture that soft laugh, but for some reason, the radiance just wasn’t translating on film. Carly looked beautiful and vibrant right in front of him, but tired and worried in the frames. Vito wondered which was the truthful one. Was the camera lense telling him something he couldn’t see in person? Or was it just the harsh lighting? Either way, this wasn’t working. “I told you Vito, I’m no model,” Carly shook her head. She slipped into the dress as quickly as her state allowed her and joined her brother again. He was admiring the photo of Louis, with an unusual softness in his eyes. “He looks good in that photo,” Carly changed the subject. “Well, technically he is, just not in front of the lense. He decided to get into management side,” Vito explained. “Though I’m not sure if he likes the industry all that much. He’s not vain enough for it.” He laughed. “I’m sure he’ll find something that suits him,” Carly said. “It made him feel uncomfortable since he knew we messed around…” Vito blushed. “So what are we doing, exactly?” Carly asked. They arrived in the Ruby Perrin Park. “Such a beautiful day here!” Carly beamed. Vito joined her on the fountain. “So how are you and Ralph?” he asked. “That’s totally different,” Carly said quickly. From then on, the chances of getting a decent shot got even slimmer. Carly became rather mopey, even though she adamantly claimed it wasn’t what Vito said. She said she was just feeling a little uncomfortable. Vito tried to get another picture or two, but the moment of her rejoicing over the promise her legacy held was gone. The boy on the playground didn’t care for the petty drama of the Bloomer siblings. His ship was sinking, so he needed to abandon it, even though his pirate treasure was stored on it. “Until another day, and another adventure!” he yelled out and jumped on the slide. …even though it made it practically impossible to stop the motion once he reached the end of the slide, catapulting him straight into Vito. “Oh no, it’s a sea monster,” the boy yelled out when he saw Vito’s irritated face. “Hey, watch where you’re going, kid!” Vito was annoyed. “Aslan! What are you doing! ?” A woman’s voice got closer to them. “We’ve talked about this Aslan, you need you need to be mindful of other people when you’re playing!” The boy’s mother scolded him. “HE was in MY way,” the boy said defensively. “Why are you so fat in your belly but not fat everywhere else?” The boy inquired, eyeing Carly up and down. “I was curious,” Aslan shrugged. “The lady has a baby in her tummy,” she tried to explain it. “Did she eat it?” The boy looked concerned. “Super cool,” the boy exclaimed. “I’m sorry my child inconveniences you so much,” Alyssa’s eyes narrowed. Brilliant. Come on Alyssa, give me something, Vito thought. “Like who?” Vito smiled non-committedly, ignoring Alyssa’s frantic expression. “He looks just like you when you were his age,” Carly said quietly. The smile slowly evaporated from Vito’s face. “Why don’t you go get mommy a bit of that pirate treasure?” Alyssa turned to Aslan. “It’s been so long? Do you think woohoo cancels itself out once it’s been a certain amount of time?” Alyssa hissed once Aslan was out of earshot. “Oh plumbob,” Carly’s expression grew worried. “Well newsflash Vito, it doesn’t work that way – the evidence is right there!” Alyssa continued. “Mommy says you shouldn’t say plum.” Aslan, who had just returned, informed Vito. “Aslan, language!” Alyssa scolded her son. Pauline and Yenn sat in the garden, trying to not act tense. “It’s probably not a big deal,” Pauline repeated again. Vito finally arrived, bursting through the garden gate. He looked more tense than the two of them combined. Pauline stood up. “Hi Vito, it’s good to see you,” she tried to put her son at ease. “Ok ok ok,” Vito whispered to himself, placing his fingers on his temples. Yenn and Pauline exchanged worried looks. “I… I thought this would be easier,” Vito sighed. “Whatever it is, you can tell us,” Yenn encouraged him. Vito attempted to compose himself. “I’m not going to continue the legacy.” He said finally. Yenn tried to hide her disappointment. It felt like a strange déjà vu. She wondered how Pauline was feeling. “I do have a reason for it, though, I’m not just trying to be a plum,” he continued. “It’s Louis, isn’t it?” Pauline asked quietly. Pauline stared at him blankly. “For what it’s worth, I’m pretty sure I’d be a plummy heir,” Vito continued. “It just doesn’t come to me naturally, the whole bettering the community for others thing. I’m sorry. I know the girls will do way better than me.” He sighed. Yenn’s heart was breaking watching them. She stood up. She paused. It wasn’t like her to tell people what to do. She could even understand Vito’s point. She just felt awful for Pauline. And deep down, she selfishly felt awful for herself too. Yenn didn’t respond. If she was completely honest with herself, it was probably always Ethan who’d done the majority of sacrificing in their relationship. Maybe she was the one who had it all wrong. Who knew. It was all lifetimes ago. Maybe she had been around for far too long for her life experiences to still be relatable. Neither Pauline not Yenn spoke much more, other than muttering something about wishing Vito well. So he made his way out. He didn’t feel too great about it, but it had to be done. It was like ripping off a band aid. Louis was worth it, he told himself, trying not to think about their sad faces too much. Or maybe what Louis said before he’d gone back to Newcrest was true and he was just being a selfish jerk yet again, the voice at the back of his head said. Pauline looked gobsmacked when he left. This was bad, Yenn thought. “Just because things aren’t the way we pictured them doesn’t mean they’re wrong,” Yenn pointed out. “Exactly,” Yenn nodded, attempting a smile. But she was far from smiling on the inside. Once Pauline was out of sight, she dragged herself into her room. She had failed. She had been around for generations, and still wasn’t able to save the legacy. She looked at the photos on her wall. Will all of them be forgotten in history? Did their lives really matter? Did her own? Staring at those old pictures of a legacy that was crumbling to the ground, Yenn felt defeated for the first time in a few lifetimes. Carly took ages climbing the stairs to the restaurant. She’d like to pretend it was her growing belly that was slowing her down, but the truth was she was trying to put off the talk with her father for as long as she could. She hated disappointing people, and she knew she’d let him down. The place was closed, but she could smell the delicious scent from the kitchen as soon as she walked in. Sundays were Leo’s days for trying out new dishes and experimentingwith recipes. Carly wasn’t savvy enough in the kitchen to pinpoint all the ingredients, but whatever Leo was cooking, she’d gladly have. “Dad?” She poked her head in the kitchen. Carly sighed. He was being so understanding… it wasn’t making things any easier though. “Of course.” He nodded. “I was just worried that something happened to you here that you changed your mind so quickly. But Carly, I never expected you to work here forever. You’ve been great help over the years, but you don’t have any more of an obligation to work here than your siblings. If anything, you’ve more than paid your dues.” Leo smiled. “But your priority is being a mom now,” Leo said. “Don’t worry about me and my little restaurant, Carly. I can always hire a new assistant manager. But I only have one grandbaby on the way. Speaking of which, can I…” he gestured towards her belly. Leo placed the palms of his hands on her stomach. His eyes were getting misty. “I can’t believe I’ll be a grandpa,” he shook his head with a soft smile. “Sorry it’s not under different circumstances.” Carly said awkwardly. “It’s an opportunity to see what you can do for your part of the legacy, after all,” Leo added with a wink. Stop thinking about Ralph, Carly scolded herself. “I’ve got to admit, it will be hard to find somebody with your work ethic,” Leo joked. “I’ll help you find a replacement,” Carly promised. “You shouldn’t just take my word for it!” Carly laughed. “I’d take your word for anything.” Leo hugged his little girl. Yenn sat up in her bed slowly. It was only the morning, but she already felt exhausted. Even more so when she remembered what day it was. Vito was coming over. He’d called saying he wanted to talk to her and Pauline urgently, and that it was important. Yenn didn’t like the sound of it. Especially after Hallie’s visit the day before. She looked nervous when she walked in, even though she was trying to mask it with a smile. Yenn and Pauline didn’t even notice her at first, who knew how long she’d been standing in the doorway for till Yenn caught a glimpse of her in the corner of her eye. “Hallie! What a surprise!” Yenn greeted her. “So you’re finally back from Windenburg! It’s about time!” Pauline enthused. “Aren’t you jetlagged? You didn’t need to rush here…” Pauline told the girl. She sat down, looking even more nervous. The older women smiled at her encouragingly. “Well we’d love to hear all about your trip,” Yenn smiled. She studied Hallie’s face for a brief moment. “Or anything else you’d like to talk about.” She added. Pauline took a deep breath. “Here we go,” she whispered. Tears rushed into Hallie’s eyes. “So… you’re not mad?” Hallie asked. “Of course not,” Yenn said. “The legacy was never meant to be a burden. It’s just something that’s meant to inspire you to make a difference to the world. But Hallie, you’ll make a difference to the world, heir or not. It doesn’t matter. You’re special, and whatever you choose to do next will make all of our lives richer.” She smiled. Yenn smiled weakly. Hallie, on the other hand lit up. “We just want you to be happy, that’s all!” Pauline whispered to her, holding back tears. Hallie felt amazing. The huge weight that had been on her shoulders for years had been lifted. She didn’t have to get married and have kids. She didn’t have to get intimate with someone for the sake of a legacy. For the first time in ages, she could just… be. She felt light as a feather. She didn’t stay behind much longer, and after catching up with the older women briefly, she left the house. Yenn and Pauline dropped their smiles once she was out of the door. Of course, Yenn wasn’t all that sure about what she’d said. But she had to put on a strong face for Pauline, the way Pauline had for Hallie. The way she’d done for generations. The Bloomer legacy was strong, she’d repeated to herself. But then why did it feel like so much of the family’s future was still depending on her and her guidance? Why did it feel like the beginning of the end? They’d need to carry on without her some day. But there was no time for that. Vito was coming over, and if the chat with Hallie was any indication, Pauline would need her support. So she’d be the strong aunt Yenn, the saviour, once more. For just a bit longer. Her back ached as she walked down the hallway. Perhaps one day she’d get some rest. Hallie rushed through the Windenburg ruins that afternoon. With the flight back to Newcrest leaving early on the following day, so she wanted to make a stop she would never miss when visiting. She practically ran towards the end. She wasn’t sure why. It wasn’t as if they wouldn’t wait for her if she hadn’t arrived on time. But she felt the need to get there as quickly as possible, like a child running into its mother’s arms. Getting shielded away from the harsh reality of the world. Of course, it wasn’t quite a mother’s embrace that was waiting for her. It never could be. For years, her older half-sister tried to take on that role for her, but it never quite transpired. So here she was again. With her real parents. “Hi guys… long time no see.” She sat down. She grew silent. The tombstones didn’t seem to be judging her. Tears started rolling down her cheeks. Louis was waiting for Vito at the park. It could be taken as a good sign or a bad sign when Louis told him “just the park would be fine” – while it made Vito nervous that Louis didn’t want to make more involved plans, the Windenburg business district park was a pretty romantic place… wasn’t it? Of course, it would have been better if there wasn’t a homeless person sleeping on a nearby bench but hey, Vito would work what he was given. He quickly filled him in about Carly, and about potentially leaving Windenburg the following day. “I’m never gonna stop trying,” Vito shook his head. “Hm. What about your family though? 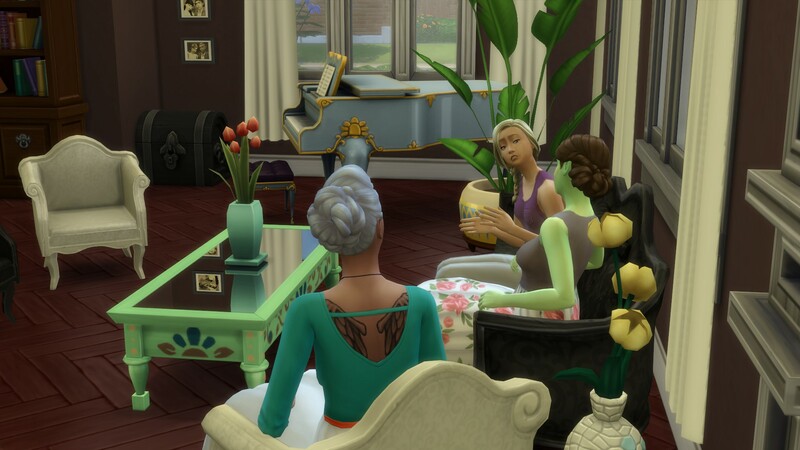 Who knows how many generations of building Newcrest? Your parents? Your pregnant sister… Doesn’t sound like ditching it all is the selfless route to me,” Louis pointed out. He stood up. It seemed he was ready to leave. Vito shot right up as well, grabbing on to Louis’ hand. 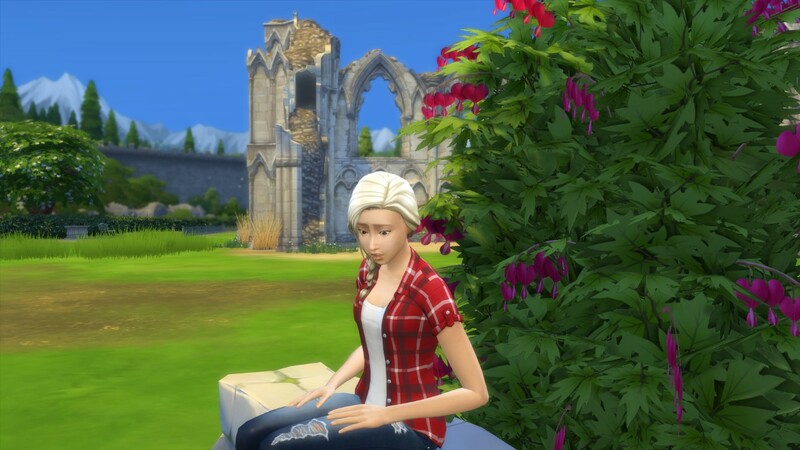 Hallie stared out of the window at the beautiful city of Windenburg absent-mindedly. It was time to leave. The Harbour Quarter festival had been over for a while. She didn’t mind staying behind for a bit longer to indulge Vito on his little quest – she couldn’t care less about going back to Newcrest. But now that she’d had that call from Sera, things had changed. Not that she was particularly looking forward to breaking the news to Vito. He strolled into the room that morning, beaming from ear to ear. “I take it things went well yesterday at the Von Haunt Estate then?” Hallie asked. Not that she really needed an answer. “You could say that,” Vito giggled conspicuously. “Of course!” He said happily. He took a seat beside her and looked at her, expectation palpable in his face. “So, you know how we’ve stayed here for quite a bit longer than we planned?” Hallie started cautiously. “Um, Vito? I did actually have something I needed to tell you, remember?” Hallie interrupted him gently. “You talked to her last night? How is she holding up? I’ll give her a ring later today,” Vito made a mental note. “I guess that means she’ll also be a good mom,” Hallie shrugged. Hallie almost felt sorry for him. Almost. But he needed to see the bigger picture. Put someone else’s needs first, for once. A wave of nausea came over Carly. Morning sickness, they called it. More like an all-day-long sickness, she thought. She was always tired. Her legs were hurting when she was trying to make sure all the tables at the restaurant were doing ok. And she couldn’t even remember the last time she went looking for collectibles. Not to mention the state of her bathroom. The toilet was leaking, producing a never ending stream of puddles. She should really do something about that, she sighed. Just the sight of the toilet made her feel sick again. She never used to be squeamish. This pregnancy thing was plummy. Of course, it would also be a whole lot easier if she didn’t have a giant belly in the way. She almost dropped the stupid wrench in the toilet, and the toilet situation wasn’t improving whasover. “Son of a llama…” She never used to curse either. Luckily, she was saved by the doorbell. The toilet would have to wait. Her heart melted at the sight of him. She hadn’t seen Ralph since that impulsive night that presumably got her into this whole predicament. She opened the door a bit too eagerly. “Ralph! You look good! I mean… hi!” Stupid hormones, she grumbled inwardly. Ralph didn’t listen, he just barged straight into the bathroom. “Ah, that’s the culprit. Easy enough to fix.” He crouched right down as if it was a perfectly normal thing to do when visiting your ex, and picked up the wrench. The toilet was good as new in a matter of minutes. “Thanks for that, Ralph,” Carly told him when he was done. The amount of gratitude she felt seemed disproportionate to the fact it was just a silly broken toilet. It seemed that Ralph could fix everything just by being there. Stupid hormones, she repeated to herself. Carly looked down at her belly and smiled. She was showing more than she’d realised. He placed a wooden horse toy on the counter. He smiled with relief, moving closer to her. “Except that you weren’t. Don’t lie again.” Carly shook her head. Carly didn’t know what to say. But before she could answer, she was interrupted. “Do I want to… what sort of a question is that! ?” Ralph jumped right up. He gently placed the palm of his hand on her belly. “I can’t… break it, or anything, right?” He asked nervously. “I think the baby likes you,” Carly smiled. “I think I like the baby too,” Ralph looked pensive for a moment. “This sounds ridiculous, but I’ve never felt more proud of anything I’ve done. How stupid is that, huh? I mean, the baby’s not even here. And you’re doing all the heavy lifting… literally.” He chuckled. Carly hugged him, melting into his strong arms. She knew everything would be just fine, as long as Ralph wasn’t too far. Even if they were no longer together, he still knew how to make everything ok.
“Here’s the nectar, gorgeous,” he smiled as he handed her the fresh glad. Seraphina sighed happily. This was going extremely well. His name was Anthony. He was quite the looker, but also smart and successful, with his hot shot Corporate Raider job. And he treated her like a princess. It was hard to believe they’d only met a couple days ago, at this very venue. Though of course, their paths had crossed before. He’d first approached her at the bar when she ordered a large glass of Granite Falls Grapo Blanco. She laughed. They were in what used to be predominantly a teen lounge, except that now that the teens had grown up, they’d still continue going there out of habit. Hardly a classy establishment by any stretch of imagination. “Of course, it’s hardly surprising Sera Bloomer would only choose the best,” he continued. “Have we met before?” Sera asked. She couldn’t place him anywhere. Here we go again, Sera thought. Now he was going to talk about the awful person she was in high school, just like the rest of them. “Oh, you think?” She asked, almost shy. She could feel herself blushing. She wondered if this was what it felt like to be Carly. They chatted for a bit, and agreed to go on a proper date soon. Seemed that Sera would actually get to go on a date that would not turn into a disaster, for once. And here they were. Back at the lounge. Actually having a conversation. And actually having chemistry. This was not how Sera’s first dates usually went. “Too bad I didn’t notice you back in high school, Anthony,” Sera said flirtatiously. “I wouldn’t be so sure about that.” Sera giggled. Boy, the nectar was strong. Sera felt giddy. Who cared if it was him or the nectar, or the combination of the too. It’s been a long time since somebody called her pretty. Since she felt pretty. “I wonder what she’d do if I kissed her,” Anthony went on. “I guess you’d have to try and see,” she winked. So he did. And it was perfect. She forgot all about the world for a moment. “You’re a good kisser,” he told her. “You’re not too bad yourself,” Sera laughed. “This has been fun. I’ve had a great time, Anthony. I almost don’t want the date to end…” She blurted out. “I like it,” Anthony nodded approvingly. He made himself comfortable on the chair. Sera giggled to herself when she finally climbed from under the bed sheets. “So, what do you want to do now?” She asked Anthony. “Oh, I think I’m gonna dash,” he replied casually, climbing out of bed. “Oh come on, they were just a few innocent lines. Not my fault you ate them up… I was kinda surprised, actually.” He chuckled. “Look Sera, no offense, but it was pretty obvious where this was headed.” Anthony said. “What did you expect? I hated you in high school. Everyone did. And for a reason. I only went after you because I’ve heard you were easy. Which, clearly, you are.” He let out a slight laugh. “Whatever, just let me find my clothes and I’ll be on my way,” Anthony backed off. She practically chased him out of the house. “If you’re gonna be a slimy creep, you have to be prepared to deal with the consequences!” She screamed. Carly had heard the fight, so she went outside to see what was going on. She didn’t venture far from her door though. She just watched the scene play out in disbelief. The world had gone mad, she decided. This was all a bad dream. That’s why all these things were happening over the past few days. She’d give anything to wake up. Just a few more punches, and it would all be better, Sera told herself. It had to be. Who the plum cared anyway? She didn’t even notice her sister walk up to her. “Hey…Sera,” Carly waved at her cautiously, scared to get too close. “What do you want?” Sera lashed out. “I, uh, overheard the fight,” Carly said, looking nervous. All the words just flew out. Sera regretted them instantly. Her rage was gone. “He was just a guy. He doesn’t matter.” Sera tried to shrug it off. Sera buried her face in her hands. “Because one day, one of them will care.” She said quietly. “Besides, love doesn’t make things easy. It doesn’t magically fix everything. Trust me, I know.” Carly sighed. Sera observed Carly’s face for a moment, trying to gage her feelings. This was bizarre. Carly always knew what was right. Carly always had things under control. Carly looked right back at her.